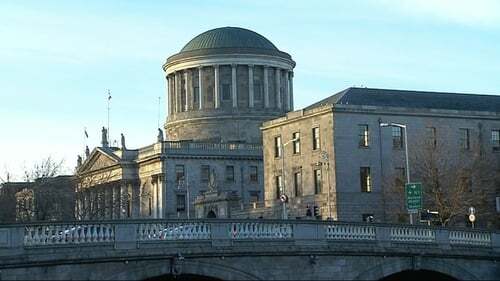 A 36-year-old woman who was injured when she was a passenger in a car driven by a drunk driver has settled her High Court action for €5.75 million. The High Court was told Antoinette Breen from Blackrock, Co Louth is in an almost vegetative state and remains in hospital following a car accident in July 2014. The settlement figure had been reduced by almost half on the basis of possible contributory negligence. The court was told she may not have been wearing a seat belt and may have known the driver had been drinking. The court was told the driver of the van in which she was a passenger was three times over the legal alcohol limit. It crashed head on into an embankment and wall on the Doylesfort Road in Dundalk, Co Louth on 15 June 2014. She had sued the driver of the van, Declan McEvoy, from Doylesfort Road, Dundalk. The case was due to take up to four weeks at the High Court but after extensive settlement talks today, Mr Justice Kevin Cross was told liability was admitted subject to issues of contributory negligence in the case. Ms Breen's lawyers told the High Court she remains in hospital three years after the accident and was at a stage just above a vegetative state. The family planned to use the settlement money for purpose built accommodation and private care for her. Her father, Gerard, told Mr Justice Cross he was happy with the settlement adding, "once she is taken care of that is all I want, I'm not worried about money or anything that is all I want." Mr Justice Cross said even though she was a passenger and was in no way responsible for the accident, it could not be established that she was wearing a seat belt. The judge explained to the family that if she knew about the driver's drinking, in law she must bear some responsibility for that. Mr Justice Cross approved the settlement and said it would help to provide care for Ms Breen into the future. Afterwards, solicitor Sean T O’Reilly made a statement on behalf of the family. They said today was a "very sad day" but they saw today as the beginning of a process whereby they would be able to care for Antoinette. They also thanked her carers and the insurance company for meeting the case fairly.